If you’re in the market for a new company car but shudder at the thought of a boring diesel saloon or hatchback, why not be brave and consider the alternatives? The figures quoted are at 20 and 40 percent tax payer rates respectively. 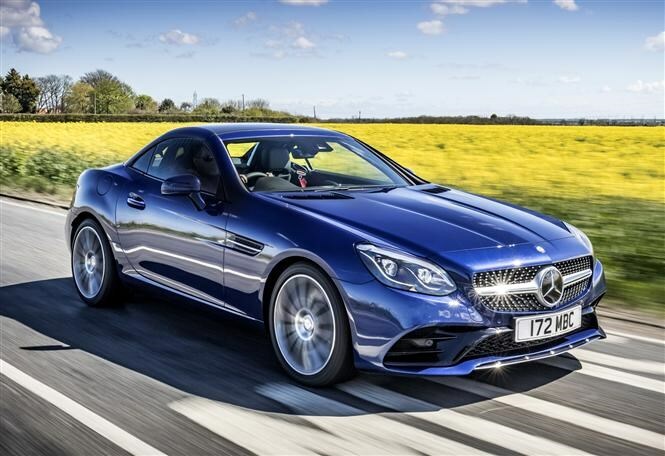 A three-pointed star on the bonnet has always been desirable, and the new SLC blends sleek styling and roof-down appeal with coupe-like refinement thanks to its folding hard-top. It’s not the most exciting to drive, but the SLC 250 d will appeal to business users thanks to low CO2 emissions of just 114g/km and a claimed 70.6mpg, while its smart looks and punchy performance will be more than enough to seal the deal for others. It’s worth noting, though, that an equivalent petrol-powered SLC 200 AMG Line automatic is much cheaper to buy outright, but more expensive per month in BIK costs for company drivers. This may not be the first car you think of as a company car, but the Mustang is here because of some interesting figures. 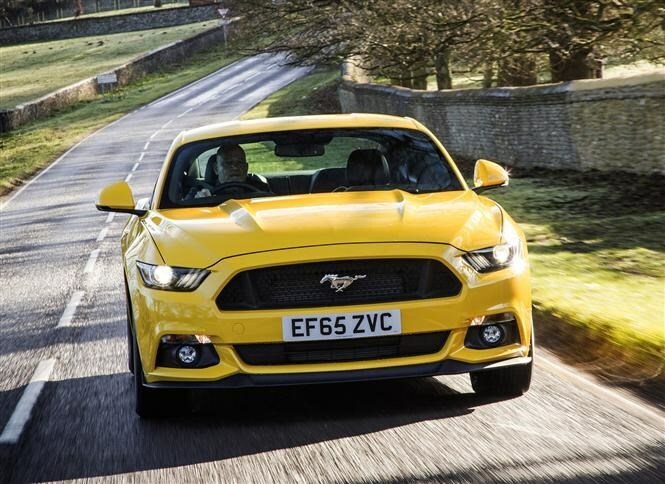 With the 2.3-litre turbocharged petrol engine under the bonnet, the Mustang costs just £7 per month more than a BMW 430i in company car tax – that’s not a lot to stomach if you want to stand out a bit more than the usual raft of German saloons and coupes. And it's a much cheaper car in the first place. It’s also less costly in BIK charges than a 2.0-litre petrol S-MAX MPV which costs £178/£356 per month in Titanium Sport trim. Obviously these two are very different cars, but it’s nice to know an American muscle car costs less to tax than a sensible people-carrier. 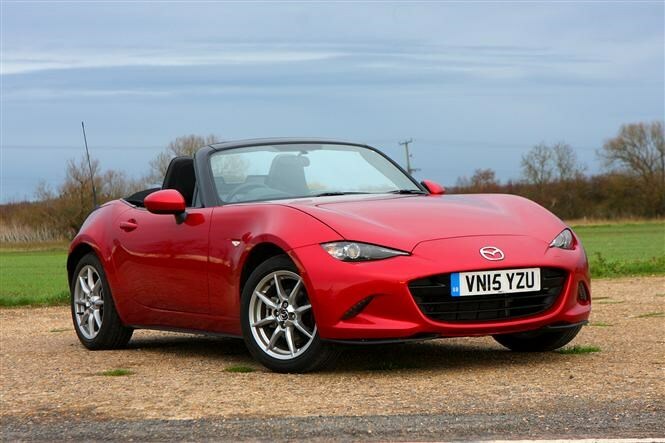 The MX-5 is a fantastic little sports car, proving you don’t need a big engine to have fun in a car. Its small 1.5-litre capacity means it won’t cost a bomb to run, either. If you want more power, we’d recommend looking at the MX-5-based Fiat 124 Spider which will cost fleet users £84/£168 per month at 20 and 40 percent rates respectively, which is less than the 2.0-litre version of the MX-5 (£101/£202 per month). 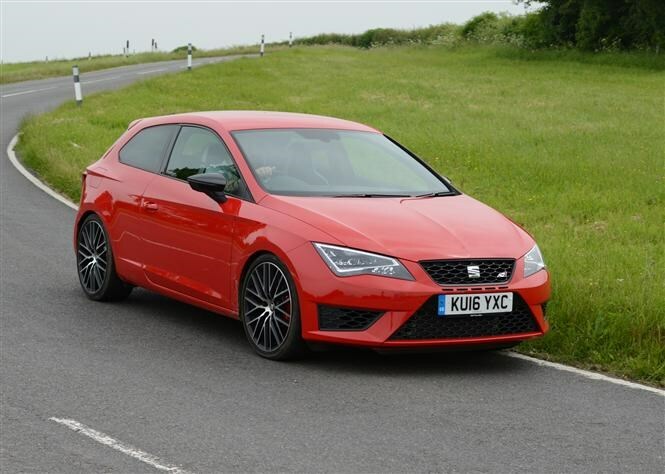 The 290hp Leon Cupra is a fantastic all-rounder. It’ll put a big grin on your face if you take the fun route to work, but it’s also a refined and grown-up cruiser for long motorway slogs, returning a claimed 42mpg in the process. It’s spacious, well-equipped and it certainly impresses in the looks department, too. If you’re not entirely sold on this, then the Peugeot 308 GTi 270 offers similar performance in a stylish and spacious package, albeit a slightly less exciting one. What could sway you is the fact it costs £115/£230 per month at 20 and 40 percent rates, which represents a decent saving over the SEAT. The Audi TT has the makings of a very enticing company car – it looks fantastic, it’s great to drive and has a top-notch interior. While it doesn’t have the performance of the hot hatchbacks above, it certainly has style and desirability by the bucket-load and its 180hp and 6.7-second 0-62mph time should be enough for most. Interestingly, the 1.8-litre TFSI petrol costs less per month in BIK than the more efficient 2.0 TDI Ultra diesel (down to the three percent diesel surcharge on company cars), so a petrol version could be the way forward if you don’t mind the less impressive fuel economy. 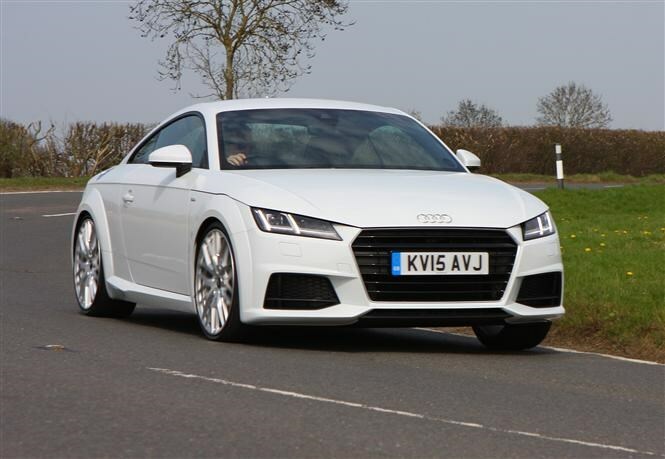 Like the idea of the Audi TT but want a bit more space in your coupe? 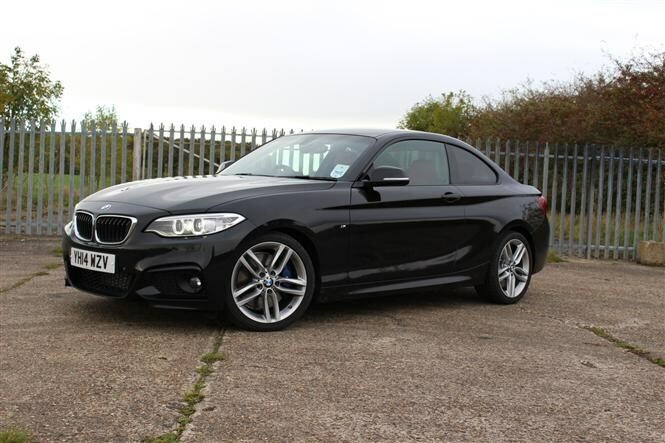 The BMW 2 Series could be the ticket, and the 2.0-litre turbocharged petrol 230i offers 250hp and a 0-62mph time of just 5.6 seconds. Compare that to the 225d M Sport diesel, which costs £130/£260 per month at 20 and 40 percent rates and you'll find it’s faster and will leave you with lower tax bills each month. 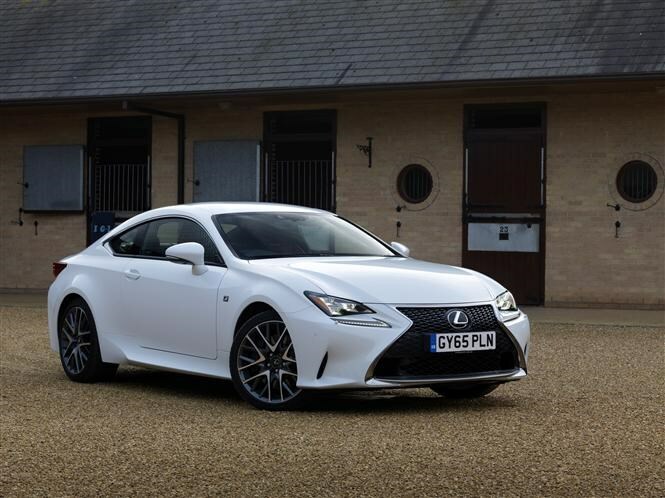 The Lexus RC is the only hybrid on this list, but it boasts some tempting monthly BIK costs for company car drivers. Admittedly, it isn’t the sportiest car to drive, but it’s certainly up there looks-wise. F Sport trim looks particularly appealing with sharp lines and creases and striking design details. The hybrid powertrain is good for a claimed 56mpg and 116g/km of CO2, although performance is slightly less impressive with an 8.3-second 0-62mph time and a 118mph top speed. Still, at least you’ll look good.